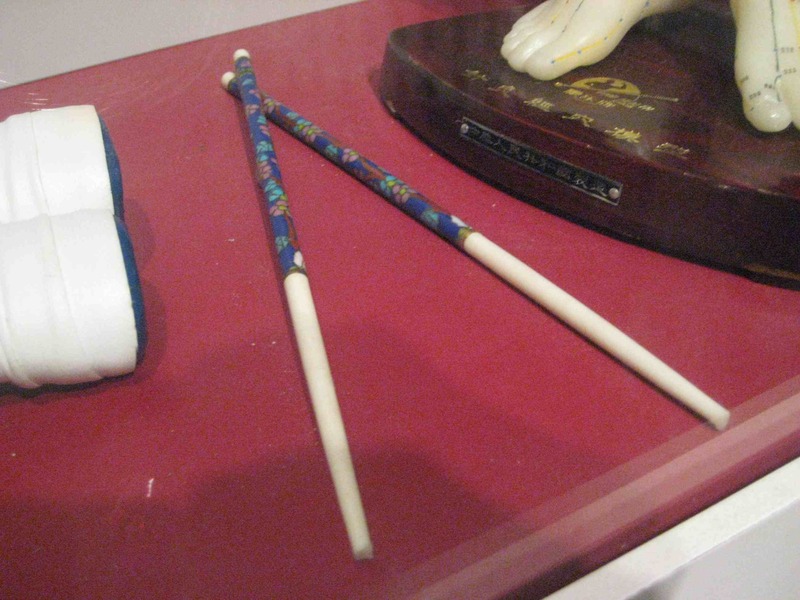 President Nixon’s chopsticks on display at the Nixon Library. Of course, his historic 1972 visit to China spurred a huge interest in Chinese food, especially Peking duck. Restaurant owners told me, with only slight exaggeration, that lines outside their restaurants formed overnight as a result of his visit. Â I actually added this photo to my presentation after I got to the library to make it sort of relevant to Nixon.